"Tag Trinket Charm, Silver, Gold, Rose Gold"
Each charm is unique and handmade with love. 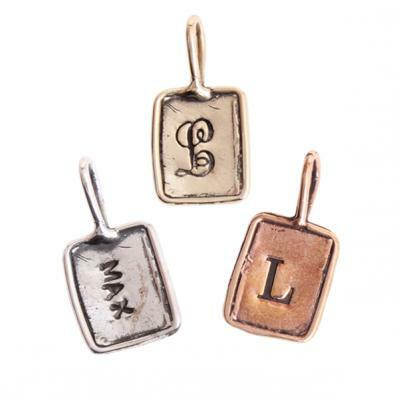 Tag Charm is made to order and stamped with one initial in the block or script font or up to 4 characters in the Nelle or Lizzy font. Each charm can be personalized and stamped with a capital script or block letter or up to 4 characters in our Nelle or Lizzy font.